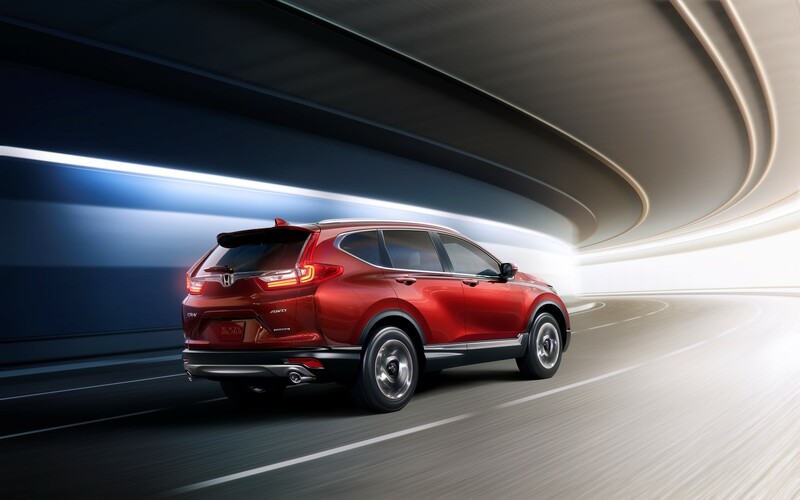 Honda’s popular CUV is all-new for 2017 with a striking new looks, higher-quality interior materials, new turbocharged motor option and the best tech in its class. 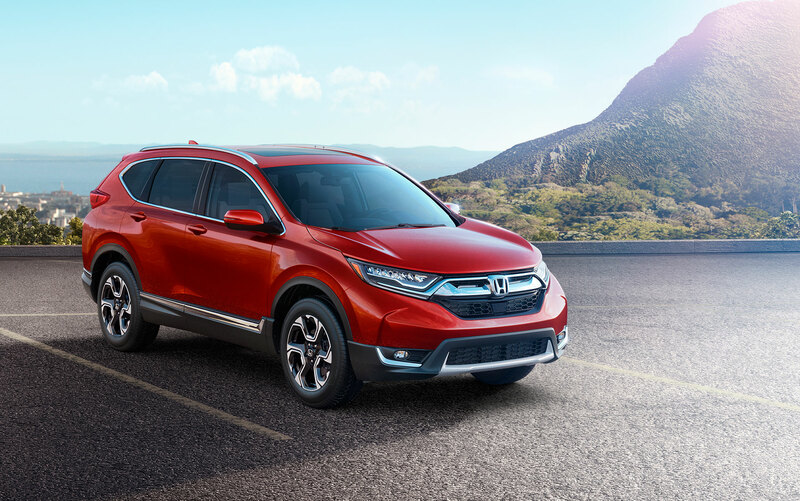 The new look features chiseled lines and an in-your-face schnoz with a back-end that’s unmistakably a CR-V.
Like its smaller sibling, the Civic, the 2017 CR-V is available with an optional 1.5-liter turbocharged four-cylinder motor cranking out 190 HP. The excellent naturally aspirated 2.4-cylinder motor continues on as the base motor. Both motors are paired to Honda’s CVT. I’m not the biggest fan of CVTs, but I found the 1.5-liter turbo and CVT combination in the 2016 Civic excellent. The new CR-V gains a new 7-inch infotainment system that supports Android Auto and Apple CarPlay. A volume knob returns to the CR-V, but Honda continues to stick with capacitive touch buttons for other functions. A Garmin-powered navigation system is optional for those that don’t want to rely on smartphones. 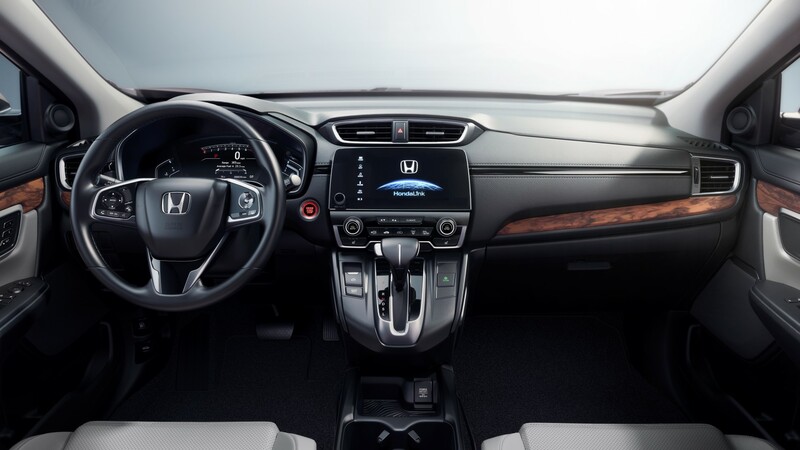 Honda Sensing driver assist technology is standard on EX and higher trim levels. The driver assist technology suite includes automatic emergency braking, forward collision warning, lane keep assist, lane departure warning, road departure mitigation and adaptive cruise control (ACC). ACC is full-speed on the 2017 CR-V, which can completely stop the car and hold it for a more relaxing drive in stop and go traffic. Only the Subaru Forester and Jeep Cherokee offer a full-speed ACC option in its class. Expect the 2017 CR-V to go on sale later this winter in LX, EX and Touring trims.